In honor of its 50th anniversary on April 1, the Country Music Hall of Fame is rolling back the cost of admittance to $1.50—for one day only—which is the same price it cost on opening day in 1967. There’s also a full day of festivities planned at the Hall of Fame, including musical performances, refreshments and a complimentary Hatch Show Print for the first 5,000 guests. 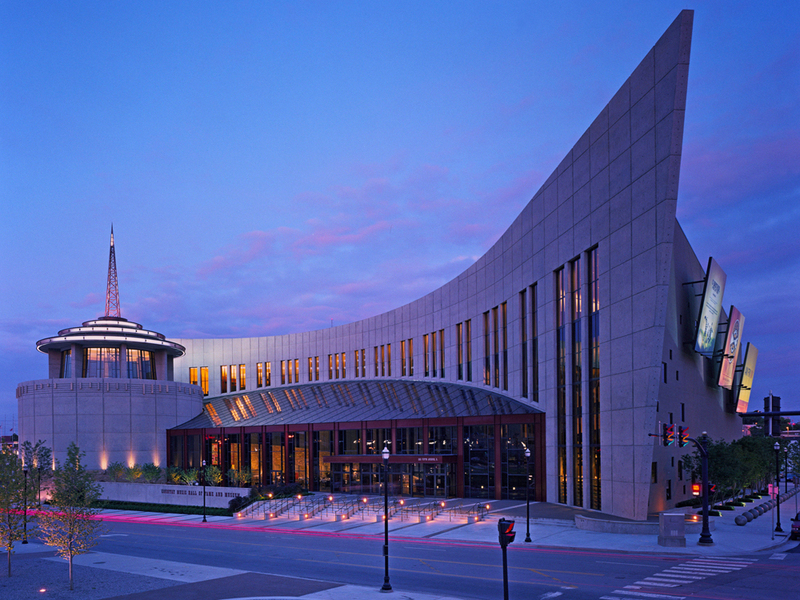 The Country Music Hall of Fame and Museum will kick off the day with a special performance in the Mike Curb Conservatory by Dailey & Vincent. This performance will be followed by a brief welcome message from Kyle Young, CEO of the Country Music Hall of Fame and Museum. North Dakota native Rory Hoffman and his talented trio will perform two sets in the museum’s Curb Conservatory. Hoffman, blind since birth, plays more than a dozen instruments. Crickets band member Sonny Curtis began his career in Texas as lead guitarist with Buddy Holly, for whom he wrote “Rock Around With Ollie Vee” in 1956. Curtis toured with the Everly Brothers and wrote the duo’s 1961 classic “Walk Right Back” (later a hit for Anne Murray). A member of the Nashville Songwriters Hall of Fame and the Rock and Roll Hall of Fame, Curtis also penned “I Fought the Law” (Bobby Fuller Four, the Clash, and others), “I’m No Stranger to the Rain” (Keith Whitley), “Love Is All Around” (theme from The Mary Tyler Moore Show), and “Someday”(Webb Pierce). This program celebrates the tenth anniversary of the museum’s songwriter interview series Poets and Prophets, which featured Curtis in 2012. This program is included with museum admission and will take place in the Ford Theater. Seating is limited, and a program pass is required. In celebration of the tenth anniversary of the museum’s songwriter series Poets and Prophets, Buzz Cason (“Everlasting Love,” “Love’s the Only House”), Dallas Frazier (“Elvira,” “There Goes My Everything”), Dickey Lee (“She Thinks I Still Care,” “Let’s Fall to Pieces Together”), and Dan Penn (“Dark End of the Street,” “Do Right Woman, Do Right Man”) will appear together, taking turns performing their classic songs. The program is held in collaboration with Nashville Songwriters Association International’s Tin Pan South festival. This program is included with museum admission and will take place in the CMA Theater. In this film loop of museum highlights, guests will learn about the institution’s fifty-year history. Footage includes the 2001 grand opening of the new downtown museum and the 2014 unveiling of the expansion. Vintage clips show a private party at the museum on March 31, 1967, the eve of the museum’s official opening including Eddy Arnold, Owen Bradley, Minnie Pearl, Webb Pierce, and Hank Williams Jr. Museum director and CMA leader Jo Walker-Meador tours the museum with a news camera and discusses some of the collection’s key artifacts. This film will be shown in the Ford Theater and is included with museum admission. Limited seating. Guests will also be offered guitar and songwriting workshops in the Taylor Swift Education Center. Guests will receive 50 percent off Lyft rides to and from the museum on April 1, 2017, from 7 a.m. to 7 p.m. by using the code CMHOF50.